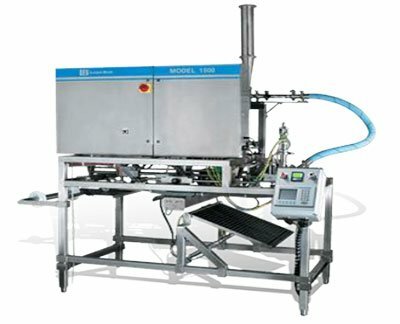 A midsize company from the food and beverage industry was not only looking for supplier with strong manufacturing capabilities, but also engineering support to improve their machines’ designs and meet regulatory constraints. PEKO’s product development engineering and vast regulatory experience, combined with world class manufacturing facilities proved to be an obvious choice for the customer. PEKO was able to leverage multiple aspects of our in-house capabilities to provide the customer with constant product enhancements, while maintaining production and lead time requirements to support sales across two of their products. PEKO’s manufacturing engineers initiated cost-effective fabrication solutions, while analysis and testing allowed for improved product performance. In addition, PEKO developed a guarding package for the equipment, to meet necessary regulatory requirements, allowing the customer to expand sales to additional markets. Through PEKO’s partnership approach, our team was able to collaborate with our customer and understand functional requirements and critical parameters for the equipment, while still allowing flexibility to explore methods to improve the process. With PEKO’s engineering, fabrication, assembly, and test capabilities all under one roof, the product advancements were seamless, as sales and production remained constant throughout. With the codes advancements and the improved performance, the customer was able to broaden their market and improve sales.